Enjoying the Exploration of Food and Photography! 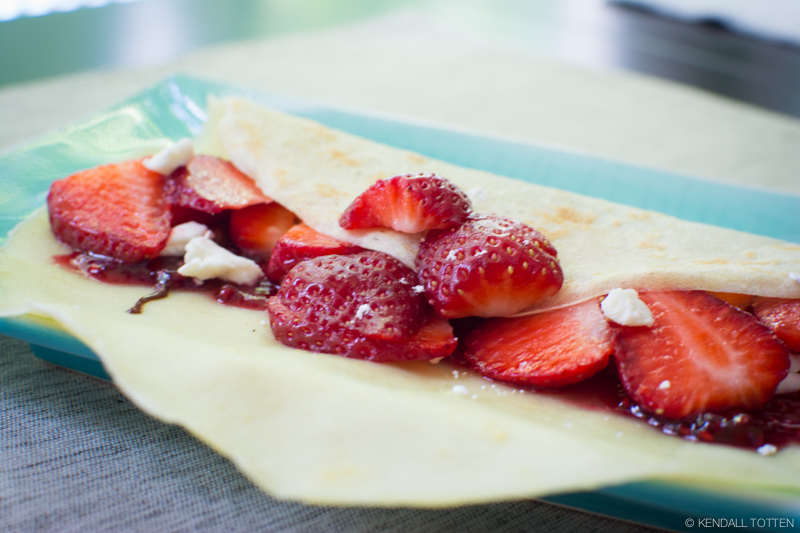 If this blog turns into an all-crêpes, all-the-time kind of blog, no one will really complain right? Good. Because I have recently hacked together the most glorious crêpe yet. It’s a slight twist on a basic recipe which involves strawberries, Nutella, and raspberry jam. The magic ingredient is a soft goat cheese which may sound wacky, but trust me it’s amazing. I used Cana de Cabra which I found at Whole Foods, but I think any creamy, mild goat cheese would do. 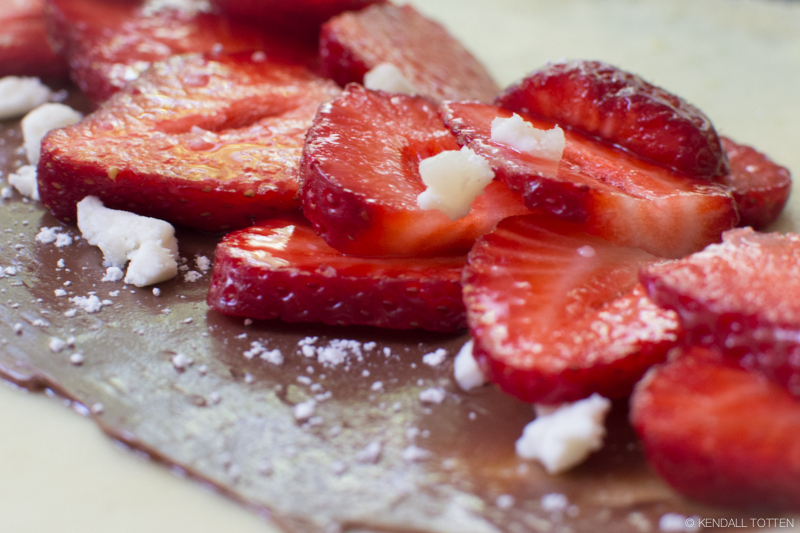 The light tang of the cheese perfectly balances the sweetness of the berries & chocolate. This is most definitely my new favorite food and I just had to share!